A rowing machine offers a total body workout while still being low-impact. This makes it a perfect workout for those who suffer from joint pain, especially in the lower extremities. If you are considering purchasing the best rowing machine for your home, it’s important not only to know which are the top makes and models so you know which you can choose from, but also what criteria should go into making the right choice. In this buyer’s guide, we will show you our 5 top rowing machines based on our own use of several models. We will also discuss how you should go about choosing the right one for you. Let’s get started, shall we? We have tested several rowing machines to find the top rated rowing machines you should consider when buying one of your own for home use. Take a look at their reviews and choose the best one for your needs. The Stamina ATS Air Rower 1399 uses wind-resistance to offer you a superior workout that is also low-impact. The resistance will automatically adjust based on the intensity setting as well as the speed of your rowing. The built-in monitor on the Stamina ATS rowing machine has multiple functions so you can track how effective your workouts are, from the cardio to the toning that you get with a rower. The monitor displays time, calories burned, speed, and distance traveled. This air rower comes with several features that make it very comfortable to use so that you won’t be tempted to let it sit in the corner and gather dust. The seat is padded and upholstered for durability as well as comfort for longer workouts. The footplates are designed for any user, regardless of their size. The seat rail is created with ease of use in mind – you can easily slide the seat to adjust for users of various heights. The Stamina ATS model 1399 folds for easy storage out of sight so you can pull it out when needed and get it out of the way when you need the space for other things. Built-in wheels make moving the rower a snap and it also comes with floor protectors to save your flooring whether you have hard wood, linoleum, or carpet. With a perfect blend of affordability and quality, the ATS Air Rower is the best home rower on our list! The Concept 2 Indoor Rowing Machine is the same one used by professional athletes to train for big events, even the Olympics. It is another air-resistance machine, just like the Stamina ATS above. However, the flywheel on the Concept2 allows you to be in complete control of the resistance while also minimizing the noise. The Performance Monitor 5 (PM5) is one of the most advanced monitors on a rowing machine and it helps to set the Concept2 Model D apart from others in its class. It is backlit so you can always see your stats, even in low light conditions. You can store your workout data onto a USB flash drive to keep track of it over time. Video: See the Concept2 in action. You can also position the PM5 on an adjustable arm so that it is viewable in the most comfortable way. The frame of this indoor rowing machine has a quick-release feature that allows you to separate it into two pieces. These pieces are easily moved out of the way on caster wheels for storage, and you can quickly move the assembled machine wherever you’d like. The footrests and handles are both ergonomic and adjustable. The footrests are designed to allow for many users’ sizes. The handles are bent slightly to allow for a more natural position when rowing. It is also available in two different color options: light gray or black. Based on our testing of the Concept2, we would say overall its the best rowing machine based on its features, usability and reliability. 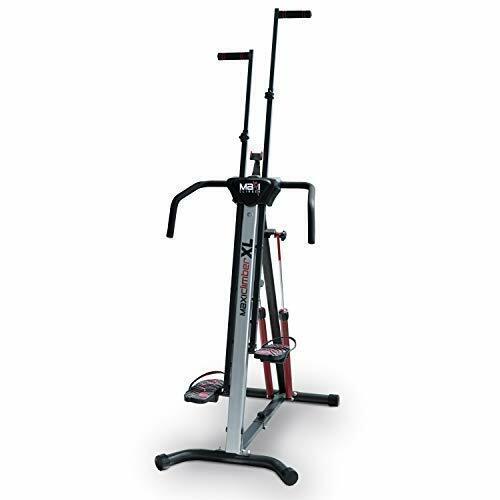 What sets the Stamina Avari Programmable Magnetic Exercise Rower apart is the fact that it is programmable. 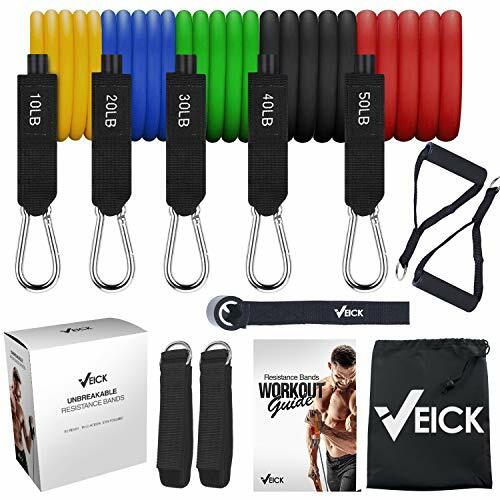 It comes pre-programmed with 6 cardio options, 1 heart rate option, 1 manual option that allows you to choose your resistance and time, as well as the ability to create 4 custom workouts and save them. The InTouch® Fitness Monitor allows you to choose the program option you would like to work out with, adjust the settings of your workout, or see the time, calories burned, the distance, the strokes per minute, your pulse, and more. The fitness monitor is also backlit for easy viewing. 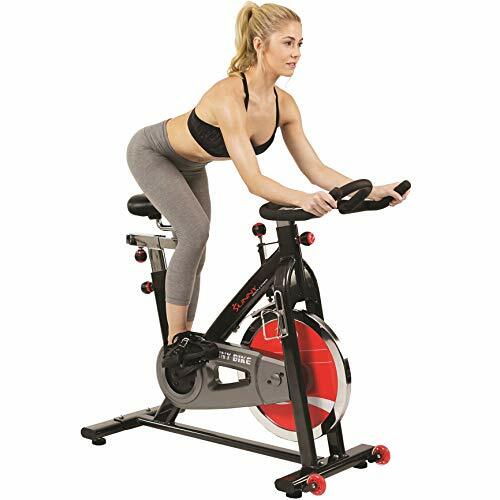 A magnetic rower such as the Stamina Avari differs from the air rowers above in that it makes for a lighter weight machine, is much quieter, and has completely adjustable resistance. Video: See the Stamina Avari in action. The rowing beam is made of extruded aluminum which makes for a smooth rowing action. The molded seat is comfortable even for longer workout sessions. This rowing machine is feature-rich for those wanting to get more out of their workout. The Avari Programmable rowing machine was the best magnetic rowing machine that we tested and we highly recommend it. The Sunny Health & Fitness Magnetic Rowing Machine allows you to adjust the magnetic tension system to 8 different levels of resistance. This allows you to customize your rowing workout to exactly what you need when you need it. When your rowing machine is that customizable, you are able to get the full body workout that you expect from a magnetic rowing machine. This magnetic rowing machine offers several handy features that allow you to get the most out of your workout. The seat is padded for comfort even on long workouts. The handlebars are equipped with non-slip grips. 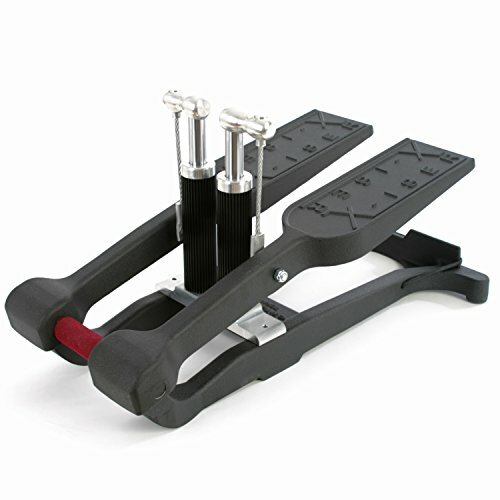 The foot pedals allow for many different sizes and are also equipped with an anti-slip coating. The LCD display that comes with the Sunny Health & Fitness SF-RW5515 tracks the number of rowing movements, the calories you have burned, the time you’ve been exercising, and more. Video: See the Sunny SF-RW5515 Rowing Machine in action. 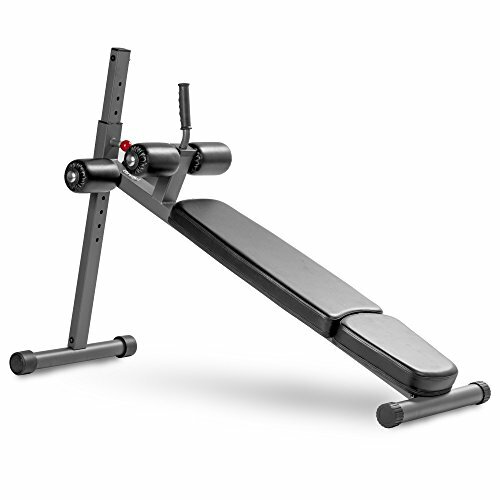 With an improved tension system that is smoother than ever, you will have a much quieter workout as well as an easier, more comfortable workout on this magnetic rowing machine. The Sunny SF-RW5515 is the best budget rowing machine that we tested based on the features we found useful and the ease of use. If you are looking for a rowing machine that mimics the actual feel of outdoor rowing, then you need the WaterRower Natural Rowing Machine in Ash Wood with S4 Monitor. Because it utilizes a water flywheel, you have the resistance of water even though you are rowing indoors. There aren’t many indoor rowing machines that can give you this same feel. The WaterRower is constructed of solid ash as well as honey oak that has been stained. The wood construction absorbs the vibration of your rowing motions as well as sound so you have a smoother and quieter workout. The resistance is self-regulated so it’s not adjustable in the usual sense and like what we’ve seen from the first four rowing machines on this list but you can’t beat the natural feel of outdoor rowing while indoors. This natural rowing machine also comes equipped with a Series 4 monitor that will track the intensity of your workout your heart rate, your stroke rate, as well as other things. 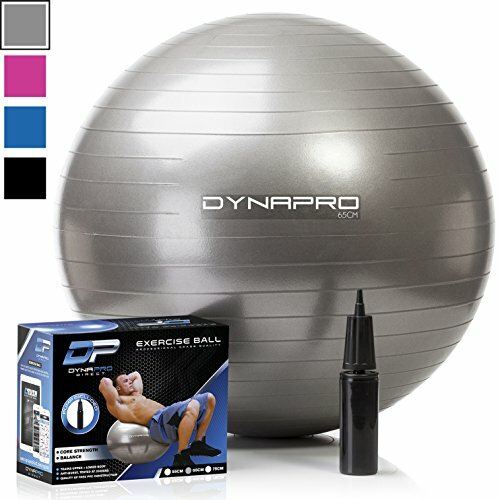 You want to now you are getting the most out of your workout and this monitor will allow you to do just that. There’s nothing quite like the feel of rowing through water and the WaterRower allows you to feel that same smooth rowing motion right in your own home. We enjoyed that sensation when we tried this rowing machine. 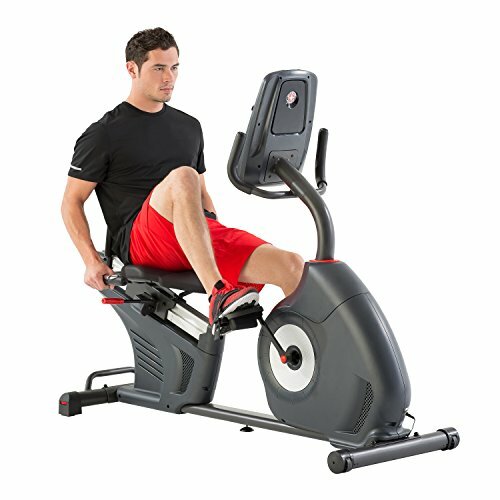 It is unique from all other machines on this list and the best rowing machine for home use tested. Now that you’ve seen our top picks, let’s take a look at the vital questions you should ask when deciding to make this purchase. A rowing machine isn’t a small purchase so you want to make sure you are choosing the right one for you the first time. 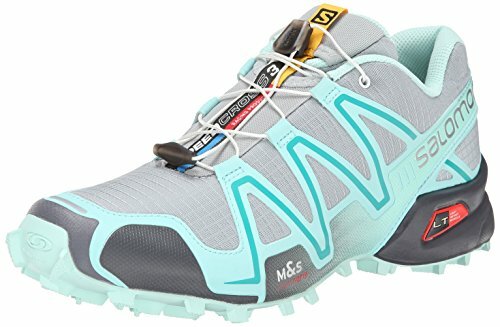 You should set the budget for your purchase before you even begin searching for one. If you know what you want to spend before you start looking, it is less likely that you will overspend. However, the amount you set aside for this purchase should be directly influenced by how much you will be using the rowing machine. If you plan on using it quite a bit, you may want to spend a bit more to get a quality machine that you know is going to last. Not all rowing machines break down or fold up for easy storage out of sight or out of the way. If you don’t have room to keep a full-sized rowing machine in a designated home gym area or in another area of your home, you know you will need to look at rowing machines that store easily and are portable with wheels. Rowing machines come with several different types of resistance. Depending on what you are looking for, you may choose any of these types. Water Rowing Machine – The WaterRower featured above, uses water pressure to provide the resistance. These machines are usually heavier than other machines and may require more maintenance due to having more mechanical parts and having water involved. Air Rowing Machine – The first two on our list of featured air rowing machines, tend to be a bit louder since they use flywheels and the movement of air to provide the resistance. These resistance systems are very effective but sometimes the noise can be a deterrent. Magnetic Rowing Machines – Like the Stamina Avari and the Sunny Health & Fitness rowing machines featured on our list, are known for their adjustability. Rowing machines that use magnetic resistance are usually very light and not very loud at all. You could be using your machine while also watching TV if you wanted to and the noise wouldn’t be an issue. One type of machine that we didn’t feature on our list were those with hydraulic resistance. With these types of machines, Hydraulic cylinders – those filled with oil – provide the resistance. Because these machines are very lightweight and produce virtually no noise, they are idea for home use. They are usually also made to be very portable and easy to store. Not all rowing machines are created for people who may need extra room for height, or even the ability to be closer to the footrests if they are shorter than average. Many rowing machines also have weight limits and you will need to find out what these are before purchasing. If you are over this weight limit for a certain machine, you will have to find one that offers a sturdier frame and a lower center of gravity. There many variables between rowing machines and each users’ personal preferences, budgets and goals. Therefore, we will cover some common questions people have before purchasing, and provide the answers for you. Q: How do I decide which mechanism of action is best for meeting my goals? For example; if you want your rowing workout to feel like you are actually out on the water, you would want to choose one which utilizes a water flywheel. However, you have only manual control over the resistance with this style and it won’t operate as quietly as the magnetic type. See the supplied reference chart and reviews to get a clear idea of what each rowing machine offers. Choose the one that has the most benefits and features that you seek. Or eliminate the ones that do not offer a feature you deem necessary, from your possible choices. Q: Which rowing machines operate most quietly? A: If you prefer a quiet operation, then a rowing machine with magnetic resistance is the best choice for you. You can even listen to music or watch television when using this style, and not have to crank them up to hear well. 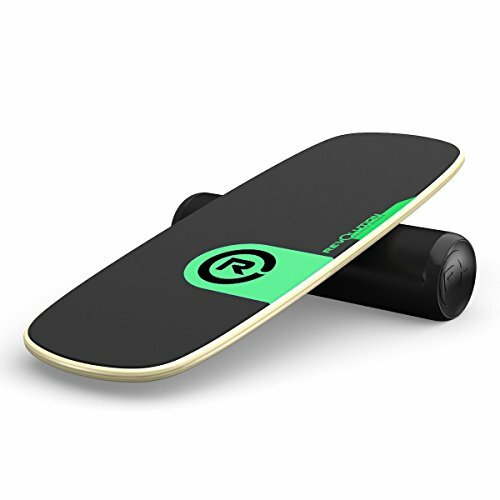 The air powered are the next best choice, but do avoid the water resistance models, as they do produce more noise when in use. Q: Are rowing machines made to be portable for storage? A: Most models of home rowing workout machines are constructed to be folded and wheeled to another area if you don’t have dedicated space for one. However, the water rower does not offer this convenience, as it has a fixed wooden framework design. Also, keep in mind that the magnetic resistance type rowers, typically weigh a little less than the other styles. Q: Will the budget friendly model, Sunny Rowing Machine, accommodate a man that’s 6’2” tall? A: Yes, as long as he does not exceed the 250-lb. weight limit, or have disproportionately long legs. We tested this model with a man that is 6’3.5”, and he was able to fully extend his legs, with a few inches of space to spare. Q: Will a rowing workout machine help me build my core muscle strength? A: Rowing machines provide a thorough, full body workout, including core muscles. They are also great for toning, achieving aerobic heart rate for increased metabolism, and maintaining or improving flexibility. When you can’t be out on the water, they provide the perfect alternative to maintain, or even improve, your rowing efficiency and stamina. Prior to engaging in the use of a rowing machine, be sure to consult your physician prior to doing so if you are pregnant or recently gave birth, if you suffer from any orthopedic or muscle condition or injury, or have other health concerns you feel may be adversely impacted by your use of a rowing machine. Do not allow young children to play on your rowing machine, especially unattended. This could result in injury. When your rower arrives to you be sure to have an extra set of hands around, or a wheeled dolly. The box is difficult for one person to move, given the size and weight of the machine. Alternatively, you could open the box outdoors and bring the components indoors individually. When lifting the box, be sure to use your legs and not your back. This will help prevent back strain or injury. 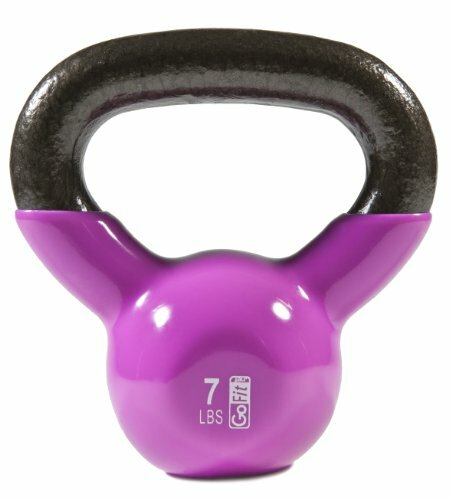 If you have a dedicated workout space at home that can accommodate this new addition, great! But, if you do not, then you need to consider this fact prior to purchasing a new rowing machine for your home use. Rowers come in different shapes and sizes. Be sure the room you intend to use it in can accommodate the rowing machine you choose and, leaves plenty of space for your movements to be unrestricted. If the room you will be using the equipment in cannot permanently accommodate it, be sure to choose a portable model. This way, you can fold it and roll it into storage when not in use. Rowing machines are not inexpensive investments. While there are those that are more budget friendly than others, they likely won’t have as many features available. If you just cannot afford a pricier model, you can still achieve great results with these. Use our comparison chart and product reviews to help you choose. If you are new to rowing, one of the less expensive models is probably perfect for you. You can still get a great workout as you decide if you will continue with rowing, long-term. The Sunny SF-RW5515 is a perfect budget friendly model to consider. It offers 8 levels of resistance and can accommodate up to 250 lbs. However, if you are already an extremely athletic person, and know you will be training vigorously and/or long-term, you should consider making a larger investment. 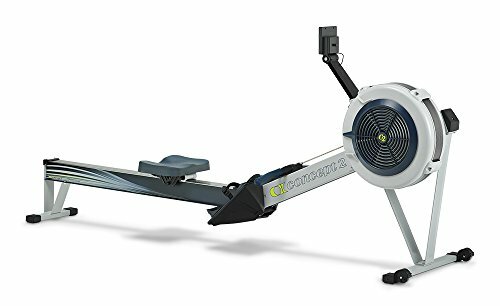 We recommend our Editor’s Choice rowing machine, for you! Check out our review on it here. Different rowing machines offer different user weight limits. Be sure you do your due diligence when choosing, to be sure you select an appropriate model for your body weight. After all, you are making a big investment, and you want to ensure you receive years of reliable use. Likewise, if you are very short, or very tall, you need to ensure the rowing machine you choose will be a good “fit” for you. You will need to be able to comfortably reach the hand-held components for safe and proper use. You also need to be able to fully extend your legs without hitting the bumper stop when doing so. It is important to be able to keep your motions smooth during your workout. If you are serious about your rowing workout, we recommend that you carefully review the information we have provided on each model’s monitoring system. You have so many options with our top 5 picks for rowing machines. Some come pre-programmed. Many also offer you the ability to program the rower to your specific desires. And, you can change the resistance settings on all, except the water resistance model, where you set the pace manually. There are monitors that track and store your sessions, and even monitor your heart rate, calories burned, and more. So, be sure to check out our reviews on each of our top 5 picks. Learn about what each model has to offer in the monitoring department. It’s Time to Start Rowing! Now that you know what to look for in your first – or next – rowing machine, and you even have ideas on which one to get from our list of the top 5 rowing machines, it’s time to get one and start rowing! You won’t regret your purchase of a rowing machine once you realize the workout potential. Getting a whole-body workout in just minutes a day and with little impact on your joints? I hope this guide was helpful for finding the best rowing machine to fit your needs. If you want to comment or recommend a rower I didn’t include, please use my contact form to get in touch. We found the Stamina ATS Air Rower to be the best combination of features, quality and workout of the rowers tested.